How can we consider this kind of truth to be universal given the diversity of the witnesses to an event? In order to answer this charge, Badiou uses the words of Paul to support his claim to a new universalism devoid of identity particularity. However, for Badiou, there is no need of God within his interpretation of Paul. One merely denies the transcendent while retaining the concept of universal truth for all mankind. This truth is created, after materialist treatment, through the doing away with of national, ethnic difference. In order to make this truth universal, one must have a universal subject, one in which there is no identity differentiation. For, if the subject is universal, the truth can be universal also: “Paul instituted universal singularity and the subject that is its support. In the epistle to the Galatians, he writes, “Christ redeemed us from the curse of the law” (Gal 3:13). Christ, then, is the name of an event, and in fidelity to this Christ-event identities are dissolved: “There is no longer Jew or Greek, there is no longer slave or free, there is no longer male and female” (Gal 3:28).”7 Badiou suggests that Paul’s universalism was the result of the declaration (interpretation) of an event (Christ) which dissolves exclusivity in the subject. The emergence of the political subject relies on what Badiou calls “universal singularity,” the dissolution of differentiation in the truth process. Badiou asks, “Where and how can we hold forth that universal singularities exist?” He borrows from Paul at this juncture to argue that event, of such catastrophe as the crucifixion held, can be proclaimed as a kind of leveler that dissolves difference. For Badiou, the truth becomes available through the emancipation of people from exclusive identities. It is universally available through a social or political interpreter of event (a kind of apostle). Knowledge, for Badiou, is confined to a social epistemology of the sort instigated by Marx’s contention that “human consciousness is determined by social forces, and specifically, by material life processes.”9 Truth is arrived at through the “organizing of consequences of an event.”10 It is arrived at through the naming of thought in the aftermath of an event. In this process a new political subject is created through which a new order is established. Badiou points to the example of the October Revolution. He suggests that the event that created a new political subject and a “new political truth.”11 Conversely, Badiou assumes that knowledge is only obtainable in political subjects who are constituted by interpretation of events. Without an eternal truth constituted by a transcendent, eternal subject, Badiou is forced to create his own. The truth emerges from the process of interpreting an event thus constructing a subject – collective and political. The emerging subject is confronted with the new in the event and then attempts to name that which he sees and thus emerges his truth. But can we not subvert Badiou's order? Let us suggest that an event came pre-interpreted. Let us take the first ever event – creation. Creation is not named after the fact, but before it (by God), and it is interpreted after the event by God through Moses. The Christian has a constituting subject with true knowledge of the event. The subject proceeds from the subject not merely from the event itself. He is equipped with the linguistic discourse with which to make sense of the event not by speaking at the new, but by speaking in accord with the transcendent constituting Subject behind all events. It is, therefore, a question of authority. Badiou notes the conflicting notions of authority found in Greek philosophy and in Judaism. The Greek notion is of “a master” who “determines what constitutes a rightful inclusion within the totality.”12 The Jewish notion, conversely, is of the “master who is authorized by the power of the exception.”13 Again, Badiou wishes to use Paul in order to solve this paradox. He sees Paul as one who declares the event of the cross as denoting a universal event that dissolves exception in Jewish identity and denies universal wisdom in Greek thought: “The Paulinian wager is that a discourse can exist which configures the real as pure event and which, form that point on, addresses everyone without exception.”14 The universal truth to which Badiou points is not “a truth that makes an event but a truth that is created by an event.”15 However, Paul does not day that the Christ-event has put away distinction. Rather, he says that for those who have been “baptized into Christ have put on Christ” (Gal 3:27) the division has been put aside in the new man which is the church. This allows for the distinction to remain between those in and those out of the constituting reality of the person of Christ. One must also ask how Badiou determines particularity. It seems that, for Badiou, particularity is established socially (Gay, fundamentalist etc.) How is one to discern such a thing? My two sons are having an argument as I write. One says that his plastic motorbike has two wheels. The other son says it has four. The bike is made in such a way as to divide each wheel into two parts. Thus it appears to be four half wheels. I told them that they were both correct (so I avoided more shouting and screaming). This is often the case in deciding identity. At first we see a homogenous grouping and assign it a name. What Badiou sees as a perpetual loop between peoples and global market, ever creating identities to feed economic growth, might instead be the gradual naming of pre-existing identities? This is the case with my son's wheels. They appear to be two, but, on closer inspection, are four half-wheels or even four wheels. Is it not the case that Badiou proposes an elite namer of identities? It is indeed Badiou himself who makes himself arbiter of identity. He is the one who presumes that he should judge whether there are two wheels or one. How else can identity be abolished, but through an interpreter of human communities? If the interpreter of event, like Paul, is to dissolve difference, he must first negate the differences he sees (e.g. “Jew” and “Greek”). Badiou suggests that human predicated community should be made one community. However, how can he be sure that the “one” he refers to is not already an identity? One might suggest that Badiou wishes to do away with difference by insisting that there is only one valid identity amongst the many – French, Leftist. In which case by what measure do we decide whose identity we should all take on? The “new political subject” might not be that novel in that it may in fact be the identity of the leftist. Surely to complete his proposal one must remove the proletariat as well as the bourgousie, do away with French as well as American. Badiou’s difficulty here is with attempting to reach a conclusion on unity and diversity in social and political structure. Badiou applies these concepts without difficulty to apparent political entities, but on what basis does he explain such phenomena? Our basic presupposition, as Christians, is that “we hold that in this universe we deal with a derivative one and many, which can be brought into fruitful relation with one another because, back of both, we have in God the original One and Many. If we are to have coherence in our experience, there must be a correspondence of our experience to the eternally coherent experience of God. Human knowledge ultimately rests upon the internal coherence within the Godhead; our knowledge rests upon the ontological Trinity as its presupposition.”16 The true conception of particular is the conception of their nature – that which was given by God. Human identity is therefore pre-interpretative by God and to be thought of, by man, analogically. The Trinity, properly conceived (i.e. God's own conception of himself revealed to us in scripture), places priority on both unity and diversity. Its unity is not generated by its plurality nor is its plurality derived from its unity. In the Trinity both one and many are “equally ultimate”17 Since the Trinity comprises of equally ultimate one and many, we can expect to exist, as derivative beings, conscious of such concepts. To deny God in his triune nature is to usurp his nature. It is to force either one or the many to divinity. The paradox to which we refer is not a paradox to God, but a paradox to man in his declaration of autonomy. He refuses to respond to his experience of one and the many analogically with reference to a constituting reality, but attempts to speak at events presupposing his own autonomous position as judge. Badiou wishes to make the world in his own image. While this removal of predication may support Badiou’s argument, it assumes a moral judgment over the rights and wrongs of such a move. In particular, the logical conclusion of Badiou’s suggestion would be the removal of the State of Israel as it is an embodiment of just such a social particularity of the kind Badiou wishes to negate. Badiou’s anti-Semitism is based on the denial of exclusivity, an anti-Zionism based on the denial of a right of the particular Jew to particular physical space. Is this not what it is all about at ground level, so to speak? Marx denied the right to property. This was his summary of communism – the abolishing of property rights, the abolishment of particular peoples’ possession of particular materials. Furthermore is it not precisely Badiou’s axiom at work within the socialist enterprise? The Bolsheviks realize the essential differences with the Mensheviks and repel them. Mau’s continual revolution becomes an end in itself because that which was once the assimilated becomes the differentiated. One can never be sure if one is in or out when those concepts are continually changed. The gulags were not for one kind alone, but for any kind which, at any given time, came into Stalin’s view as being “the other” in need of removal. The communist ideal proposes a “new man”21 which is pure and devoid of exceptions. At root of Badiou’s suggestion is a conception of universality and particularity entirely couched in political and economic terms. Badiou points to our present situation as the singular existing in the global capitalism and the particular existing in the identity politics of our time. The singular “generalization of the count unit... the configuration of the world as a global market”22 The particular is a result of the mythologisation of religious, racial and sexual identities but it is also the destruction and devising of novel identities that feed into the global market. For example, the emergence of gay identity has become another niche into which and from which to market product or brand. Badiou wishes to subvert this paradigm and replace it with a universal singular predicated not on identity as such but on emancipation from identities. The similarity of situations Badiou sees is social. The Roman Empire, of Paul’s time, is symbolized as the One; the variant discourses are Jewish and Greek. The event is the Christ-event limited to crucifixion and resurrection. In present times Badiou sees the One existing in global capitalism which feeds off every increasing identity creation and destruction. Event—violent, revolutionary—instigates a truth process which is proclaimed to be universally true. For Badiou, social/political reality is all that matters. But I cannot see how it is possible to provide a basis for the axiom that truth is socially constructed for one would have to say that the axiom itself is socially constructed. Despite the attempt to posit a universal singular, Badiou requires an arbiter of the singular, an elite within the political entity who interprets events for the rest of us. This does not sound like freedom to me. In fact, as I read Badiou I felt as if, far from emancipation, he was advocating oppression of the worst kind. Reality is not merely political; it is also spiritual. The person is not constituted by event and its interpretation, but is created by a personal God. Paul assumes this when he addresses the Galatians. The idea presented by Paul is that of a covenant between God and man, preceding law (Sinai event), fulfilled in Christ who is God and the Jewish Messiah. To neglect this, Paul's primary presupposition, is to make a nonsense of the text. Badiou is among many who are part of a post-secular theological turn. They see the peril of post-modernism and the failure of modernism. In response they seek to re-imagine religion without God, taking up theological ideas without presupposing any existent deity. For Badiou, Paul provides a matrix of event, discourse and resultant universal subject which he uses to support a radical Marxist premise. It is an abstraction from the text, but it assumes the correctness of what to abstract. The socialist enterprise fails to account for unity and diversity in creation and moves, sometimes violently, to remove distinction. It is, however, always the responsibility of an elite set of interpreters to determine those identities which warrant negation. It is Gnostic in that it claims a secret knowledge and is couched in salvific terms. It remains opposed to the transcendent but cannot help but make the very idea of political and economic order transcendent. 1Among the Europeans advocating ‘theological materialism’ and ‘neo-Paulinism’ are Alain Badiou, Slavoj Žižek and Giorgio Agamben. See John Milbank, Slavoj Žižek and Creston Davis, Paul’s New Movement (Grand Rapids: Brazos Press, 2010) and John D. Caputo and Lynda Martin Alcoff, St. Paul Among the Philosophers (Bloomington: Indiana University Press, 2009). 2Leon Wieseltier, "Non-Event." New Republic 241.12 (2010): 36. Academic Search Premier. EBSCO. Web. 10 May 2011. 3Alain Badiou, "Is the Word "Communism" Forever Doomed?" Splash28. Lacan.com. Web. 10 May 2011. .
4Alain Badiou, "Eight Theses on the Universal." Splash28. Lacan.com, 19 Nov. 2004. Web. 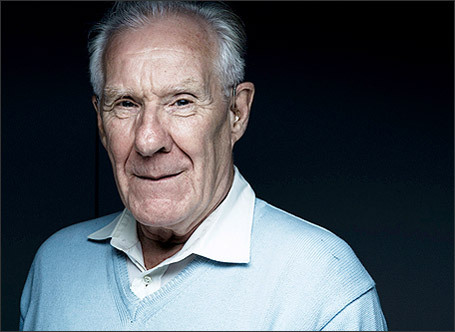 10 May 2011. .
7Alain Badiou, "St. Paul, Founder of the Universal Subject." St. Paul among the Philosophers. Ed. John D. Caputo and Linda Alcoff. (Bloomington: Indiana UP, 2009), 27-38. 9Millard Erickson, Truth or Consequences (Downers Grove: InterVarsity Press, 2001), 107. 10Alain Badiou, "Is the Word "Communism" Forever Doomed?" 12St. Paul among the Philosophers, 30. 15Ibid., 38, ft note 1. 16Cornelius Van Til qtd in Greg Bahnsen, Van Til's Apologetic: Readings and Analysis. (Phillipsburg: P&R Pub, 1998), 239. 20Edward Flannery, The Anguish of the Jews (New York: Paulist Press, 1985), 275. 21Soviets proposed “The New Soviet Man” devoid of individuating identity, no longer Russian, but a new person.